Free Fall on both drums. 69,000 LBS + 31,800 LBS Carbody. Maximum Line Pull 46,800 lbf (208kn)! 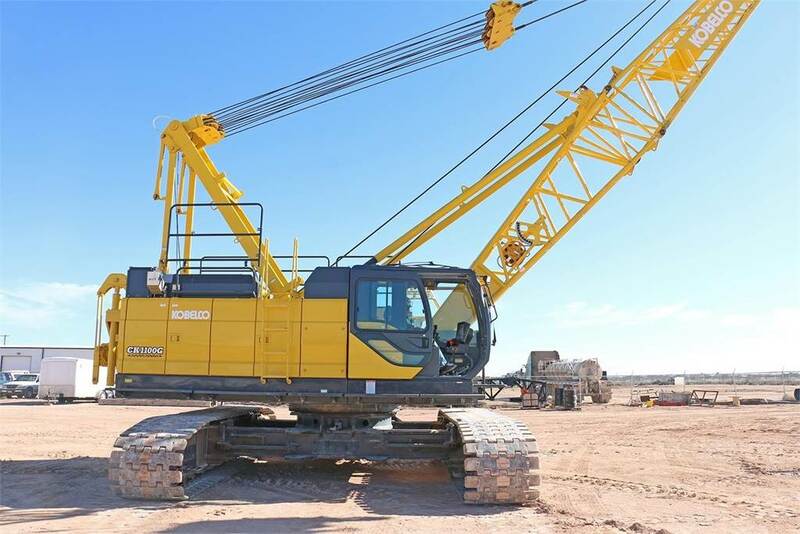 Kobelco CK1100G Crawler Crane is designed from the ground up for reliable operation, convenient maintenance and easy transport. The CK1100G features a new engine that complies with the latest EPA Interim Tier IV standards. The cranes have also been designed with new energy saving assist systems known as the “G-modes”, which can achieve up to a 30% savings in fuel consumption. The "G-modes" include the auto idle stop system, energy saving winch control system, and the engine RPM limitation system. Other re-design features of the new G series includes: compact structure allowing for greatly improved transportability, larger cab design, LMI touch screen, counterweight detection device, improved counterweight self installation mechanism, and newly improved (short) control levers. Kobelco is renowned for smart engineering and an unwavering focus on creating the best value package for lifting solutions.